United Southern Bank has started recognizing employees who are Caught in the Act “CIA” of going Above and Beyond their normal duties. It is our pleasure to share with you our february recipient of 2017 CIA Award, Joshua Fidler. 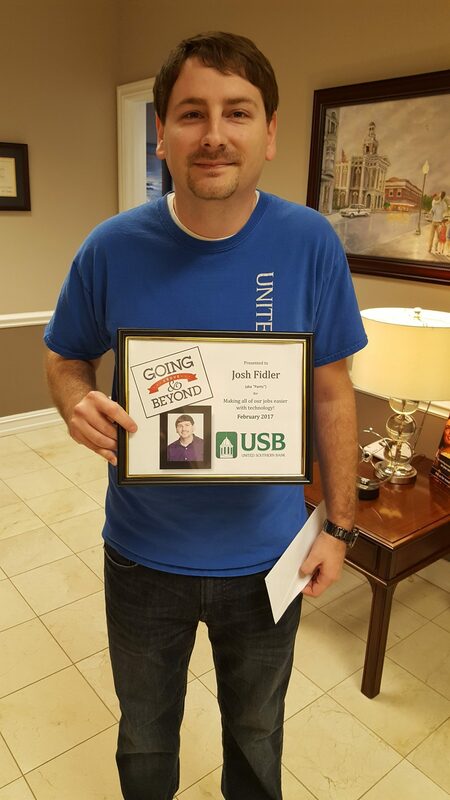 Please join everyone at United Southern Bank in congratulating Joshua for being caught in the act of doing good!